We have a future dream for a revived Broad Creek Scout Reservation. Would you like to be a part of that dream? 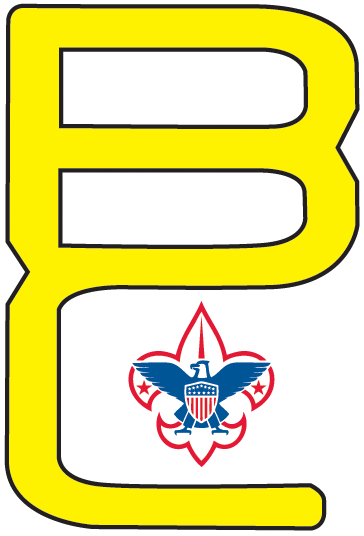 If so look at the list below to determine the project that will have your name attached to it as the benefactor for improving the camp and it’s program for the future of Scouting in the Baltimore Area Council. If you have the means or know someone who does and would like to make a charitable donation to make these dreams a reality please call 443.573.2523 to discuss the details. Below is only a starter list of projects, we will be modifying this list in time. Install Rain Gutter Cap System Throughout Camp: This requirement will eliminate the need to annually clean and remove debris from all buildings rain gutters which would free up more service and maintenance hours for more useful and productive improvement projects. Install split rail fencing in various areas of BCMSR: Multi-purpose requirement, to cordon off certain areas for no entry and for camp beautification at entrances. One type of fencing provides standardization across all three camps. Almost Done! - Upgrade all tent platforms to tent platforms with internal pipe frame (Estimated $10,000 as of 3/15/18): There is an ongoing need to replace current tent platforms with tent platforms with an internal pipe frame which is permanently affixed to the platform. The goal is to have sturdy platforms which sit leveled and off the ground on cinder blocks and incorporate a new internal pipe frame which makes set up very easy and provides more usable living space and ability for rain water run off to go on the ground rather than back onto the tent platform. We are nearly complete with this project, view our tent platform pate for more information. DONE! - Electric plug and light system for Staff areas (Estimated $10,000): Camp Saffran require electricity with outlets and light system for staff housing. We have recently built tent platforms, this is the next step. Started Family Cabin 4 - Renovation of family cabins in Camp Saffran: Buildings have all received new metal roofing, they are now in need of general improvements to the interior. Some ideas include: flooring, drywal repair, kitchen renovation/removal, bathroom improvements, and heat/air conditioning additons. Small modular prefab log homes for family camp/staff area in Camp Saffran (instead of above): Replacement structures for demolished family cabins. These new buildings could be rented out from late August through May each year. They also double as staff housing for senior camp staff and would allow married staff members to have their families with them in camp. Staff Lounge, Shower House, Bathroom, and Laundry Room: Construct a stand alone facility in the staff area of Camp Saffran for staff only. Funds donated! - Climbing Tower Fence: To meet safety standards on our new climbing tower, we need to install a perimeter fence and pea gravel around the base. Adirondacks: To better meet the need of our units, all 6 of our Adirondacks will be renovated. Rifle Range: Saffran rifle range is in need of a complete rebuild. Scheduled - Galloway Lodge: Our multi-use building in the offseason and trade skills area in summer camp is in dire need of attention. The roof has failed, the walls are rotting, and the interior leaves much to be desired. We are looking to rebuild the building. Army IRT will demo the entire building and rebuild to current code. Will be adding a overhand instruction area, green metal roof, and sliding windows. Commercial Water Slides: Additional program feature required at our Saffran pool. This will be great fun for our campers. Type and size need to be determined to meet the needs of Cub Scouts, Scouts, and adults. Gravel Road Repair: Due to being built predominantly on a hill, the Oest camp roads are in dire need of having remaining asphalt chewed up, and new asphalt or gravel placed on top. New Roofs on Quartermaster and Nature Building: Both of these buildings are in need of attention and are currently leaking water through the roof. We are looking to go with the new vision of camp and install green metal roofs. Painting Interior of Buildings: The kitchen, bunk house, and nature lodge would benefit from proper preparation of walls/floors/ceilings and then a coat of paint. On top of bigger picture improvements of Broad Creek listed above, we have normal maintenance items which must be completed each year. Many of these jobs can be aided by Scouts & Scouters who visit camp during the year. As a result, we are keeping track of all projects that are currently approved by the Baltimore Area Council Properties Committee. If you or your unit is interested in taking on a project, you can coordinate efforts through the Council Camping Department (443.573.2523) or through the Broad Creek Rangers.